Abbinamenti consigliati: Consigliamo questo vino con carni, salumi e formaggi stagionati. "Falstaff Magazin" has rated the wine "Cantina-Kellerei Bozen 'Prestige Line' Gries Lagrein Riserva Sudtirol - Alto Adige, Trentino-Alto Adige, Italy" the vintage 2014 on 06.07.2016 with 90 of 100 points. "Vinous Antonio Galloni" has rated the wine "Cantina-Kellerei Bozen 'Prestige Line' Gries Lagrein Riserva Sudtirol - Alto Adige, Trentino-Alto Adige, Italy" the vintage 2013 on 01.05.2016 with 89 of 100 points. 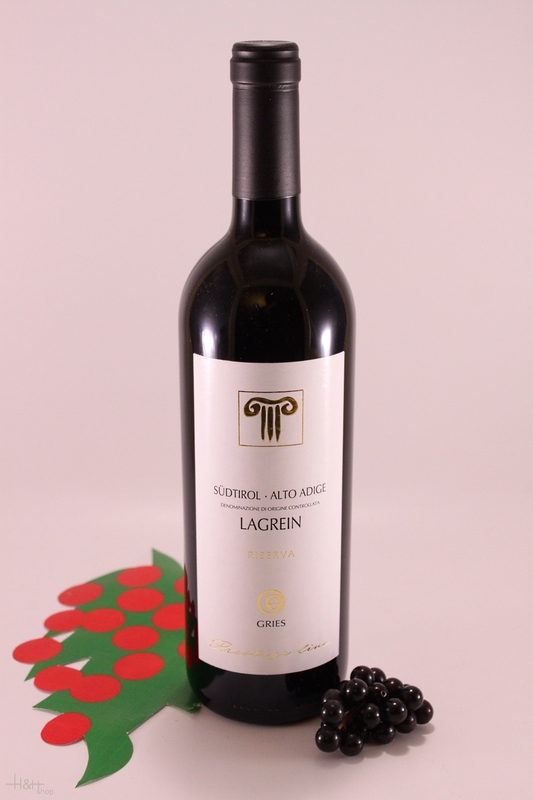 "Wine Enthusiast" has rated the wine "Cantina-Kellerei Bozen 'Prestige Line' Gries Lagrein Riserva Sudtirol - Alto Adige, Trentino-Alto Adige, Italy" the vintage 2012 on 07.01.2016 with 88 of 100 points. "Vinum Wine Magazine" has rated the wine "Cantina-Kellerei Bozen 'Prestige Line' Gries Lagrein Riserva Sudtirol - Alto Adige, Trentino-Alto Adige, Italy" the vintage 2012 on 01.02.2015 with 16 of 20 points. "Vinum Wine Magazine" has rated the wine "Cantina-Kellerei Bozen 'Prestige Line' Gries Lagrein Riserva Sudtirol - Alto Adige, Trentino-Alto Adige, Italy" the vintage 2008 on 01.05.2011 with 16 of 20 points. 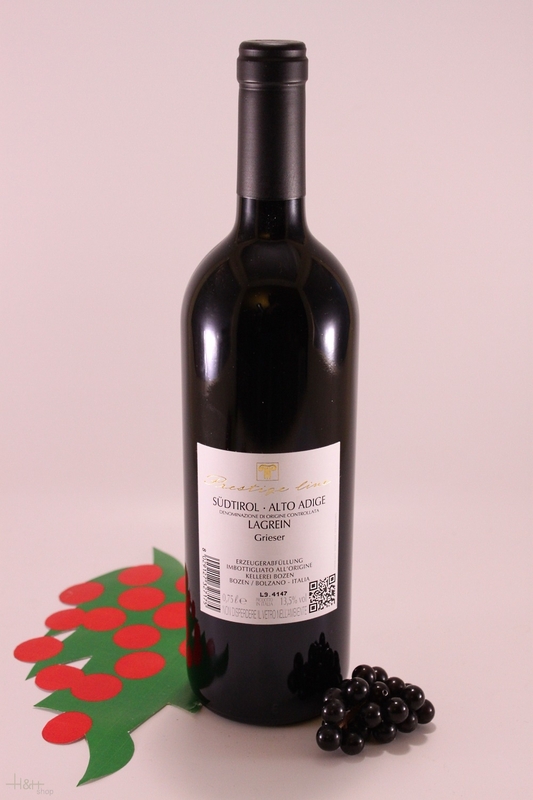 "Vinous Antonio Galloni" has rated the wine "Cantina-Kellerei Bozen 'Prestige Line' Gries Lagrein Riserva Sudtirol - Alto Adige, Trentino-Alto Adige, Italy" the vintage 2008 on 01.02.2011 with 91 of 100 points. "Vinum Wine Magazine" has rated the wine "Cantina-Kellerei Bozen 'Prestige Line' Gries Lagrein Riserva Sudtirol - Alto Adige, Trentino-Alto Adige, Italy" the vintage 2003 on 01.04.2006 with 16 of 20 points. "Vinum Wine Magazine" has rated the wine "Cantina-Kellerei Bozen 'Prestige Line' Gries Lagrein Riserva Sudtirol - Alto Adige, Trentino-Alto Adige, Italy" the vintage 2000 on 01.03.2004 with 15 of 20 points. well-bodied withe wine, smooth and long life, COLOUR: ranging green to pale yellow, NOSE: fruity, with hints of apple, pear and banana, TASTE: full, deep, pleasantly acidic, persistent finish. aromatic, generous white wine with long life potential, COLOUR: pale yellow, NOSE: intense, aromatic, with hints of apricot and peach, TASTE: aromatic, spicy, intense; vivaciously acidic. Pale straw yellow, strong fruity flavours of ripe apples, a hint of elder flowers, spicy, elegant and intensive; with lively freshness, sumptuous fullness, hint of mineral as well as a long and intensive finish.